How to build resilience through Decentralized Water Resources Management? Join us for our e-discussion on Climate Resilience starting March 20. Experts from Cambodia, Nepal, Jamaica and Saint Lucia will share their experiences and lessons learned from the implementation of Decentralized Water Resource Management projects in their countries and regions. Learn and discuss with our practitioners how resilience can be built in communities most vulnerable to climate change and disasters. We also welcome your participation by sharing your experiences – not only in Water Resource Management, but also from other Climate Resilience projects. We aim for a lively knowledge exchange with your questions and contributions. This will be a great opportunity to get to know colleagues with similar tasks and challenges ahead and to share experiences. What are the challenges encountered in designing and implementing decentralized water resource management projects and solutions in your communities/country? Please share your experiences in addressing these challenges. The new guide Art of Knowledge Exchange by the Climate Investment Funds offers climate change practitioners a practical step-by-step framework with illustrative examples on how to design, implement, and measure progress with regard to knowledge exchange initiatives. While the guide contains information that is of value to all those involved in knowledge exchange from the local to the global level, it is particularly geared to those who broker the exchange of knowledge and expertise on development challenges and solutions in the areas of clean technologies, climate resilience, energy access, and sustainable forests. Women the world over face many barriers in accessing and participating in decision-making on forest resources. The CIF Gender Program spoke with Berenice Toro, Director of Financing at CONAFOR, about Mexico's experience. Women the world over face many barriers in accessing and participating in decision-making on forest resources. The CIF Gender Program spoke with Berenice Hernández Toro, Director of Financing at Mexico’s National Forest Agency, CONAFOR, about the experience of Mexico in this regard, following a recent presentation at the Mexican Embassy in Washington DC on the Forest Investment Program (FIP) Mexico experience detailed in a new forest case study prepared under the Climate Investment Funds. Berenice says that in Mexico, “One of the main gender barriers is that women are not the owners of forest resources, [rather] the majority of these resources are property controlled by men”. Such land tenure issues complicate women’s participation in forest decision-making though they may have access rights to non-timber forest resources and their utilization. Further, forest policies in Mexico often focus on timber production alone, where women have traditionally been less active, further complicating women’s participation in governance of the sector. Mexico’s Investment Plan under the FIP, implemented with the support of the World Bank and the Inter-American Development Bank, has had success in improving women’s situation in the forest sector. Mexico’s FIP Investment Plan was approved in 2011 to improve institutional and local capacity in forest management for reduced deforestation and forest degradation, and to promote sustainable rural development. The Investment Plan required that all of its projects address gender issues throughout the implementation process. This requirement, and the Investment Plan’s overall alignment with the social inclusion goals of the National Development Plan 2013-18, have been essential to promoting gender equality in projects supported by the FIP. FIP projects have addressed gender barriers by working directly with women foresters and women forest producers by exchanging experiences, providing training and conducting research. The FIP program in Mexico has had a role in improving women’s role in formal decision-making bodies and ejido forest governance by advancing forest policies that consider non-timber forest production; promoting land rights of rural women; and expanding skills in forest production. As a result, women’s economic and social position has improved. 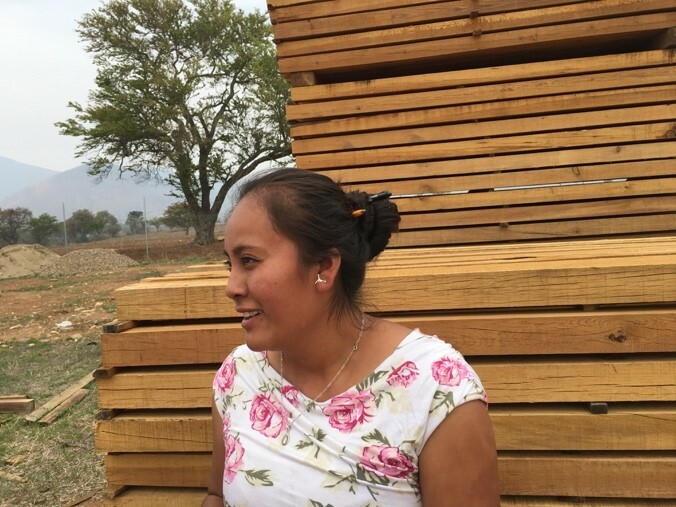 In Oaxaca, FIP funding has allowed the Community Forest Enterprise (CFE) Dimensionados Oro Verde to increase mechanization, while supporting training for women in the forest production process. This resulted in a tripling of direct employment for women in the sawmill. Similarly, in the Durango CFE Pino Real Forest Corporation, one-quarter of the 80 jobs generated by the project have gone to women, including the Director’s position. CONAFOR has translated national policy aims on gender equality into a practical and fully integrated institutional approach at all levels of forest agency and community activities. It has incorporated gender budgeting in its planning guidelines and capacity-building, and developed a gender network throughout state offices to organize forums on gender issues and coordinate with institutions at the local level to expand outreach by forest officers to women forest users. Berenice highlighted also CONAFOR’s efforts to prioritize productive projects requested by women, such as in non-timber forest product development, or the use of forest resources for handicrafts, by using affirmative selection criteria for grants to viable projects developed by or with women. CONAFOR highlights that effective gender mainstreaming is difficult without capacity-building and awareness-raising on the issues involved, and the support of a strong legal framework for intervention, combined with political will and inter-institutional joint action but that with these, meaningful action can be taken for the benefit of all forest users, both women and men. From December 2016 to May 2017, we - a group of four M.A. candidates in International Development Studies from the George Washington University - partnered with the $8.3 billion Climate Investment Funds (the CIF) as part of our Masters capstone project. Although each member of our team holds a distinctive interest in development, we share a passion for private-sector strategies, particularly the ways in which large development institutions may enable healthier and more robust markets for private businesses. We jumped at the chance to work with the CIF to evaluate renewable energy markets across the globe, and spent about six months conducting regional market analyses. The overall goal of the work was to identify the barriers to clean energy adoption in the 68 countries eligible for investments through the CIF’s Scaling-Up Renewable Energy Program (SREP), which tackles energy access in low-income countries. We wanted to do this in a way that would help illustrate the barriers faced by the private sector when attempting to work in this area. Our report compiled key indicators of the opportunities for and barriers to private-sector investments in clean energy markets and condensed these trends into an analysis of the ways in which SREP, and the CIF broadly, may address these barriers to enable future private sector investment in clean energy markets. This work also took us to the field in Honduras, where we were able to see SREP’s PROFOGONES project in action. PROFOGONES is a clean cookstoves installation project which aims to build economic and environmental resilience by providing subsidized clean cookstoves to low-income Honduran communities in rural and peri-urban areas. The project is implemented by Honduran environmental organization Fundación Vida and aims to install 58,000 clean cookstoves in 160 communities by February 2019. During the two weeks we spent in and around Tegucigalpa, Honduras, our team visited and interviewed beneficiaries in Tatumbla, Honduras. “It has bettered my life”, one female beneficiary told us, speaking about her family’s new clean cookstove. 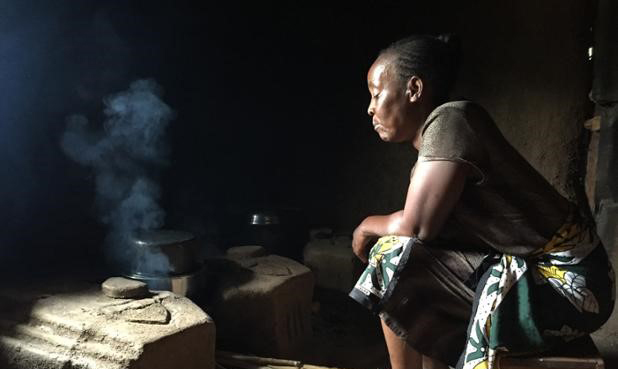 “By saving money on wood, on health [care], and in many others ways.” Their candid responses illustrated the economic and health benefits of clean cookstoves, but also the ongoing challenges of adapting to clean cookstoves on a household-level. This research informed our case study on this project, which speaks both to the stark successes of the PROFOGONES project and the CIF’s role, and illustrates best practices for future climate resilience projects. As a group of four International Development Studies students fortunate enough to visit this project, our understanding of clean energy solutions, including clean cookstoves, has been bettered and our knowledge of development enhanced in many other ways. Typically, women in West Africa have use rights to land through their husbands, fathers or brothers . In Ghana, most land and/or home-owning households in Ghana have their land and houses in the men’s name only . The Forest Investment Program – FIP – together with Ghana’s Ministry of Lands and Natural Resources, the national Cocoa Board and other agencies, is helping reverse this imbalance for female cocoa farmers. 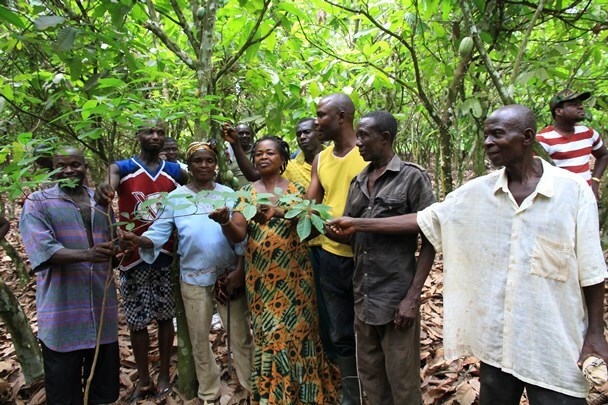 The FIP is investing in Climate Smart Cocoa, which focuses on planting shade trees in cocoa farms (see this blog post about Climate Smart Cocoa in Ghana). 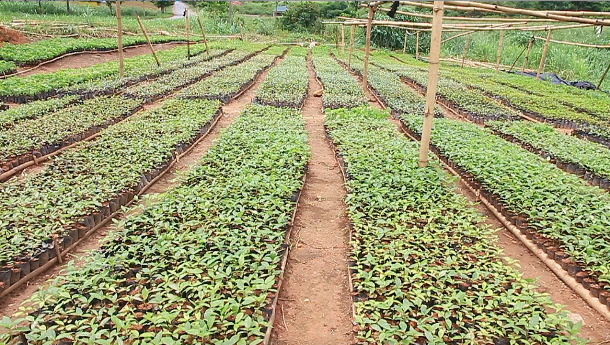 The FIP, through Ghana’s Forestry Commission, gives shade tree seedlings at no cost to cocoa farmers. Some of the species of indigenous trees used are: Terminalia Superba, Terminalia Ivorensis, African Mahogany (Khaya Ivorensis). With the new tree tenure policies introduced by the FIP, male and female cocoa farmers can now register each individual shade tree under their name. By doing this, they are securing the ownership and rights of each tree and reducing gender-based social and economic exclusion. Each shade tree represents a high value timber asset for cocoa farmers, which they can liquidate once maturity is reached. The FIP also strengthens more inclusive tree tenure arrangements by supporting expanded participation of women in local forest governance, for example Community Forest Committees. Such multi-pronged efforts are at the heart of the upcoming CIF Gender Action Plan – Phase 2, in support of all of CIF’s climate mitigation and adaptation investments. In addition to the economic benefits of the shade trees, Climate Smart Cocoa practices offer improved yields, and greater protection against capsid attacks on cocoa trees, which implies reduced use of pesticide. Other benefits include better soil protection and enhanced biodiversity in cocoa farms. When asked about shade trees and the tree tenure system in cocoa farms, female farmers said that they now have hope. With better cocoa yields, and the secure asset of shade trees, female farmers can plan for a better future for them and their families. Oduro, A. D., W. Baah-Boateng, and L. Boakye-Yiadom. 2011. Measuring the Gender Asset Gap in Ghana. Research Report, University of Ghana. The Climate Investment Funds (CIF) were established in 2008 to provide scaled-up climate financing to developing countries to initiate transformational change towards low carbon, climate resilient development. Channeled through the multilateral development banks (MDBs), the CIF encompass two funds: the Clean Technology Fund (CTF) and the Strategic Climate Fund, which includes three targeted programs – the Forest Investment Program (FIP), the Pilot Program for Climate Resilience (PPCR) and the Program for Scaling up Renewable Energy in Low Income Countries (SREP). Contributor countries to the CIF have pledged more than USD 8.3 billion to fund preparatory activities and investments in 72 countries. Welcome to CIFnet, the Community of Practice of the Climate Investment Funds. This is the online meeting place for members of the CIF community to exchange knowledge, share experiences, learn from each other and connect with like-minded people from all over the world. Explore our program related sub groups.